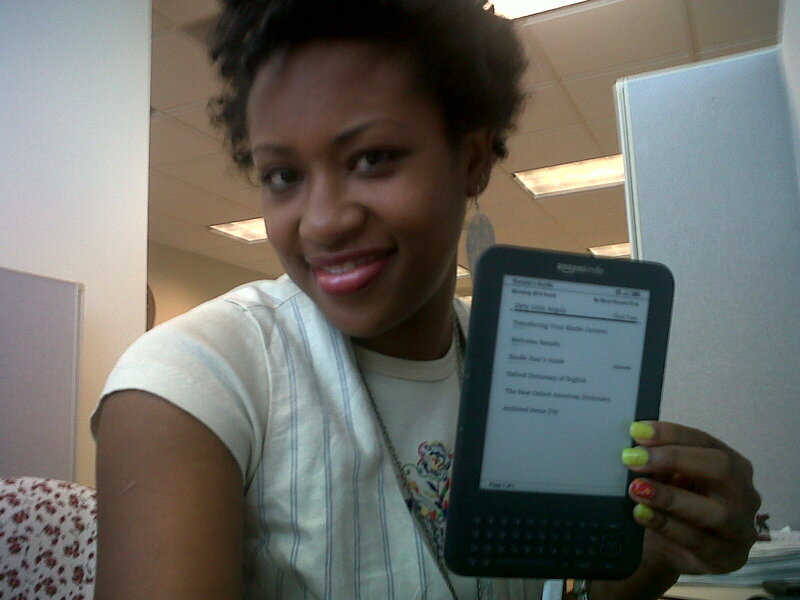 I received the Kindle I won yesterday!! Can you tell how excited I am? I have already uploaded 72 books! I love love love reading. My first book will be Dirty Little Angels by Chris Tusa, who has asked me to read and write a review. Thanks again to Faydra for hosting the contest and to everyone who voted for me! And for anyone who hasn’t read it, here’s my winning essay! Travelling and reading are my two favorite pastimes. Exploring the world, considering new ideas, and expanding my mind, imagination, and consciousness are invaluable to me. Someone once said that to change how you live, you must change what you know—that we live our knowledge, so we must strive to increase our knowledge. I agree with that someone. We must read, study, learn, and understand. With a Kindle, I would have an easier time reading as I travel. Currently, I take every chance I get to read. My reading list consists of hundreds of books so I try to read any time I have a free moment. I read on MARTA on my way to and from work. I steal away at lunch and read as I eat. In the evenings, I read before I go to bed. Sometimes, I focus on one book, but in any given time frame, I may be reading 3 or 4 books at one time. That’s where the usefulness of a Kindle comes in. Instead of lugging around 3 books at a time, I’d be able to stow away this device and read as many books as I want at my leisure. When I travel to new places, I will be able to read my books without adding extra weight to my luggage. I can just put my Kindle in my purse! How convenient for a book lover like me! Winning a Kindle will make my pastimes even more enjoyable! My New Thing: Feature Fridays! Wow, congratulations! Welcome to the Kindle family.